Clamps & Gaskets: News Roundup for Weeks 6/7/8, 2018. Catching up on overdue Clamps & Gaskets! 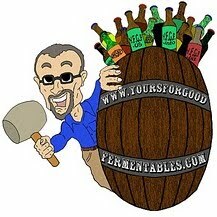 A few years ago, everyone from BeerAdvocate to All About Beer declared craft dead. Which was the ABI [Anheuser-Busch InBev] plan all along – first break your terminology, then break and infiltrate your culture, then subsume you. All with your approval. I have to hand it to them – they’ve done a great job. 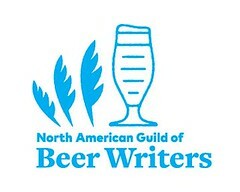 I’ve heard British craft brewers talking about “Fuller’s isn’t craft” and “Sierra Nevada isn’t craft”. These people are out of their minds. American craft beer culture is BASED on what we went and saw in the UK, Germany and Belgium. Everyone on earth copied everything from Fuller’s ESB to Duvel, and then have the gall to say that these breweries aren’t craft breweries? If you want to know what craft beer is, this is your lucky day. I’m going to tell you. Craft beer is beer made according to an individual vision. If almost no one in the company knows who the head brewer is, it’s not a craft brewery. You can be one million barrels and a craft brewery and you can be 5,000 barrels and have sold out on your first day. I’ve seen both. So yeah, actually it did matter, at least in the United States. And it could matter again, under the “craft” name or another. Nomenclature matters. And when you give that up, both your power and your culture go out the window. Ask any French chef. Possibly because craft beer continues to position itself as fighting some kind of moral crusade against corporate interests, the whole issue of affordability touches a raw nerve. But wouldn’t it be better all round if the “craft beer movement” could accept that it was just another somewhat pricey niche middle-class enthusiasm and stop pretending it's trying to change the world? — Via The Pub Curmudgeon. Prior to its scheduled move to smaller headquarters in 2020, Radio-Canada (the French-language arm of the Canada’s public broadcasting system) to digitize its collection of more than 200,000 CDs and then destroy it. Not known is what will happen to its library of over 200,000 vinyl LP records, 70,000 78rpm discs, and a multitude of rare, and extremely rare, musical scores and books. — Via Radio Canada International. It was the first private home in the United States to have air-conditioning. Annaburg, the Manassas, Virginia, summer estate of Alexandria, Virginia, brewer Robert Portner —owner of the Robert Portner Brewing Company, the southeast's largest brewery before Prohibition— built for his family in 1892 is for sale and is at risk. — Via Prince William Times. The Beer Institute decries Trump's proposed "draconian" tariffs on aluminum and steel as endangering the jobs of American brewers and brewery workers. Aluminum used to make beer cans is not a national security threat.Aluminum is critical to the well-being of America’s beer industry as more than half of the beer produced annually is packed in aluminum cans or aluminum bottles. When it comes to living into one's 90s, drinking two glasses of beer or wine daily acts as a better palliative against premature death than exercise, by 18% vs. 11%, a new study at the University of California found. And a bit of overweightedness diminishes the odds of an early death by 3%. As recently as 2005, hop growers still planted little more than 100 acres of Centennial. In 2017, they harvested more than 5,200 acres. — Via Jeff Alworth (and Stan Hieronymus), at Beervana. Julie Verratti —co-founder of Denizens Brewing, a 'craft' brewery in Silver Spring, Maryland— has been tapped to run for Maryland lieutenant governor with Democratic gubernatorial candidate Alec Ross. The U.S. Justice Department indicts thirteen Russians and three Russian companies with a long-running scheme to criminally interfere with the 2016 U.S. presidential election. 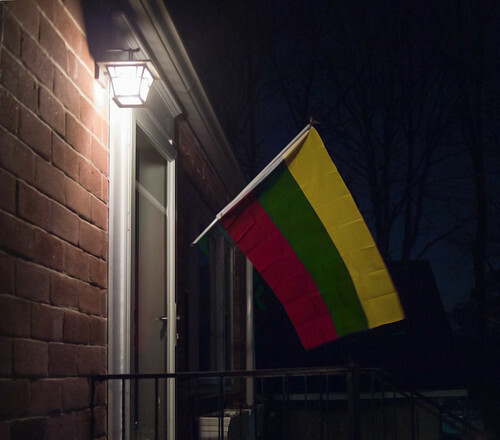 Lithuania —YFGF's ancestral home— celebrated the centenary observance since the restoration of its independence, on 16 February 1918. Lietuvos valstybės atkūrimo diena. — Via Mike Snider, at USA Today. Stung by a reputation as gentrification’s outriders, craft beer breweries [in London] are trying to bring in more women, working-class people, and people with disabilities to both drink beers – and make them. — Via Will Hawkes, at The Guardian. Seventeen people were killed and seventeen more were wounded during a mass shooting at Marjory Stoneman Douglas High School in Parkland, Florida, making it one of the world's deadliest school massacres.The suspected perpetrator, 19-year-old Nikolas Jacob Cruz, was identified by witnesses and arrested shortly afterward. Long thought extinct, Hill Rice —a rice variety with which enslaved Africans in the American South once cooked and a variety not needed to be planted in watery fields, thus not a vector for malaria— has been 'rediscovered' in Trinidad. — Via New York Times. The Trump administration plans to cut funding for the bipartisan cleanup program of the Great Lakes region —source of 84% of North America's surface fresh water— by 90% next year, from $300 million to $30 million. 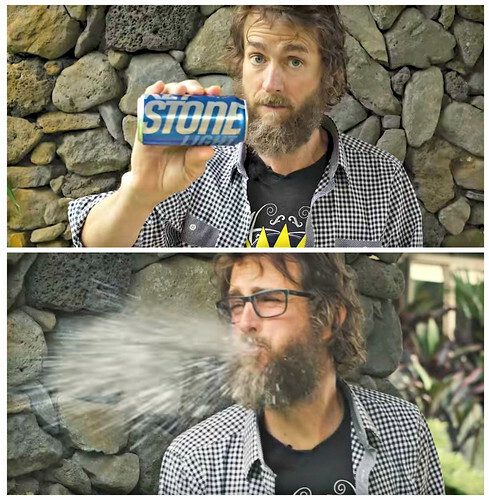 Large 'craft' brewery Stone Brewing to sue conglomerate Miller Coors over its "very blatant use of 'Stone' in its Keystone branding." American pop crooner Vic Damone, known for his good looks and "creamy" baritone, has died at 89. His heyday were the two decades following World-War II. The Irish legislature, the Oireachtas, is considering adding a warning label about drinking and cancer to alcoholic beverages. Ireland would be the first country to have such a warning label. America has had labels that warn about drinking while pregnant and driving while intoxicated since 1988. Wine labels also inform the consumer that the bottle contains sulfites. Wesla Whitfield, an American opera singer who overcame partial paralysis, became a preeminent vocal stylist, winning acclaim for her interpretations of the Great American Songbook. She has died at 70. Instead of the piney, resiny, grapefruit part of the hops spectrum, New England IPA leans toward orange, fruit, peach, mango, guava…it’s almost juicy. There will be a lower RDF [real degree of fermentation] which gives you that drop of sweetness that brings the juiciness out. So, in some ways, it’s a kinder, gentler IPA. — Via John I. Haas. My wife and I worked. We don’t feel like cooking or doing dishes. It’s Tuesday night. Can we go out and each get a drink and food and not spend $200? — Via Washington City Paper. "What do I see in a glass of porter?" A barista-influenced cream-flow foam, 2-cm high, undulating in its surface, collapsing slowly, like the Roman Empire, a province at a time. What else do I see, a dark, dark, dark blackness, a dark night of the soul, a night in which the old moon is dead and the new is waiting to be birthed, a darkness of invisible hands and beasties imagined and conjoined, the lacing of the foam as it subsides coating the glass like a congenial virus, a puzzle of foam, a query, a cantankerous head of foam refusing to vanish. So what does it taste like? Burnt toast with a thin layer of butter and marmalade that suggests acridity, fruitiness and sweetness and then within nanoseconds there is a dryness that crackles and cackles like a coven of witches rehearsing for Macbeth; there’s a chewiness, an appeal for mastication, as well as a creaminess suggestive of softness and childhood. And what does it taste like? A cover disturbed, aromatics of mocha, chocolate, toast and fruit (cheap marmalade if caught from the other end of the breakfast table). Someone, and I cannot recall who, suggested that this beer could be closer to porter’s original outlook on life. I’m not sure, I will leave that to the beer historians and their soaked volumes of statistics from a time that went long ago. Whatever, it’s a damn good beer, unflinching in its approach to acridity, and dense in its character on the palate." — Via Adrian Tierney-Jones, at Called to the Bar. Clamps & Gaskets is a bi-weekly wrap-up of stories about beer (or wine or whisky) and other things. 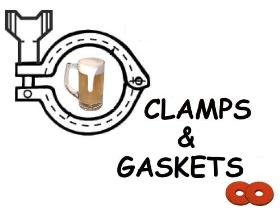 The Clamps & Gaskets graphic was created by Mike Licht at NotionsCapital. Pic(k) of the Week: Linksmų Velykų! Pic(k) of the Week: Stone Mountain lake?